My sweet little monkey. Can't believe she is going to be two next month. I told myself that once she's two I'm going to get rid of that binky. 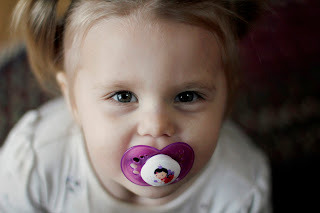 She's still pretty attatched to that binky of hers....wondering just how hard it's going to be to ween her off of it.